Quick Links: Just a little OCD question. .. Condensation in my taillights? Shop vacs & bed outlet XM/Sirius Radio Antenna Lots of Parts!!! Better than christmas! Removing the stock pinstripes? Discussion in '2nd Gen. Tacomas (2005-2015)' started by awoit, Nov 28, 2007. 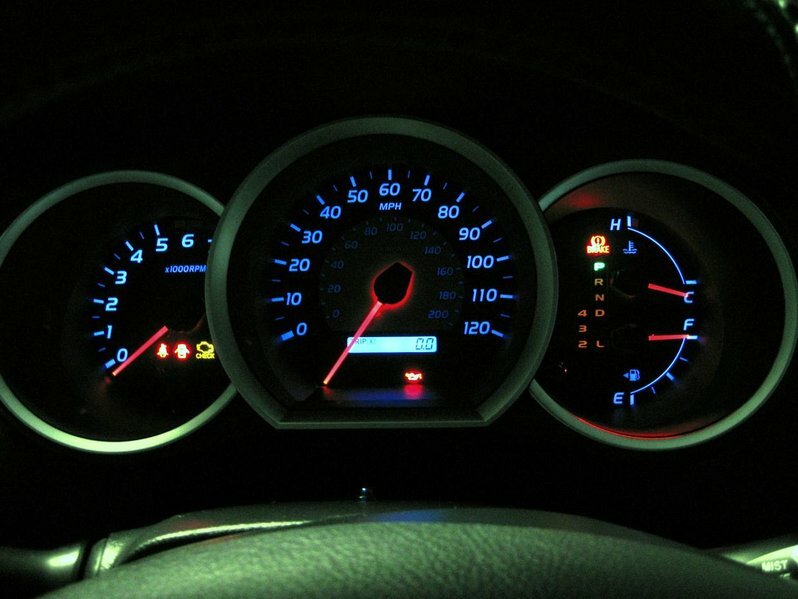 I just got a new 2008 Tacoma and the instrument panel color is orange, i would very much prefer blue as the background colors for my speedometer etc, can someone help me out on how i can change the bulbs or any advice on what to do? hey man where are you from?? Projector halo headlights CCFL, Instrument panel (Blue Leds) Retrax cover pinstripping, SES chrome mesh grill, added led signal lights to mirrors, audio vox rear view camera. american racing rims. I DID IT!!!!! Just changed the led's today took about 3/4 of the day. Wasn't as bad as I thought it was gonna be. 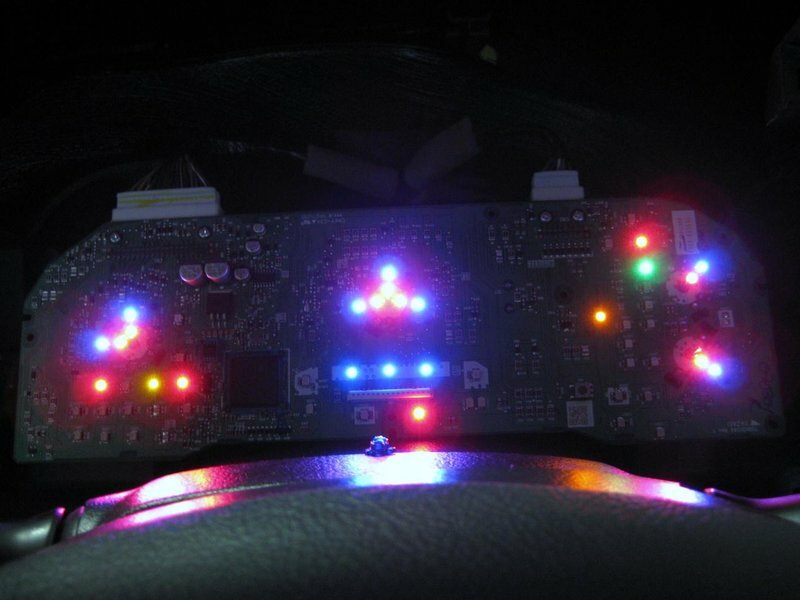 Just have to take your time and stay calm, I went with the blue leds got them from digi-key Make sure you tell them you want the surface mount style and the legs are pointed downwards opposite of led side. Front Skid Plate, Exhaust Tip, Tinted Windows: 35% Front Sides, 5% Rear Windows, Devil Horns Emblem, Rear TSB, BLHM, Shorty Antenna, 6000k HID Headlights. Did you do it Williams? Did you really? Looks like you're going backwards about 15 mph?? ?